Ideal for a multitude of outdoor ENG, broadcast, and film applications, this medium-sized Cyclone Windshield Kit from Rycote features a two-piece "Z-Locking" basket design that magnetically affixes around your microphone, isolating the mic from wind-caused noise. Up to 50 dB of reduction can be achieved with use of the Cyclone Windshield alone, and >60 dB is possible when used with a Windjammer on top of it. Increased transparency is achieved due to the cone-like shape, which reduces reflections from parallel surfaces in the recording environment, providing clean audio recordings during outdoor interviews, location shoots, and more. It's designed to provide wind noise reduction that exceeds traditional modular-style windshield/windjammer combined performance. The Cyclone introduces a "multi-suspension" design that provides isolation against handling noise, cable-borne noises, and windshield basket self-noise. This multi-suspension design inhibits noise and vibration induced by the windshield itself from being mechanically transmitted, thereby improving recording quality. The kit includes the Cyclone Suspension fitted with 72-shore Universal Lyres, a Cyclone XLR cable, a large Cyclone Windshield, a pair of Universal Lyres 62-shore for lightweight microphones, and a hex key driver for making adjustments to the Lyres on the suspension. Box Dimensions (LxWxH) 16.6 x 9.2 x 6.3"
Will the WJ-4 fur fit over this shield or is it a different fur windjammer system? The designated windjammer for the Rycote Cyclone Windshield Kit (Medium) is the manufacturer part # 29102; B&amp;H# RYCWJM. Yes, however you would need a small L bracket to mount the CB4, as this lifts the Connbox up away from the bar. I understand that the Rycote Cyclone Windshield Kit (Small) is supposed to be the appropriate size for a Sennheiser MKH-50, but will the Medium work as well without any downsides? Hi Tony. Yes, it will be fine: the only real downside is loss of compact profile and a slightly increased weight spec. Wind protection will actually be increased slightly due to larger basket size. Medium size comes in black color? Hi there,The black 3D-Tex fabric is an older version that has been discontinued; all current Cyclone models are manufactured using our latest, grey 3D-Tex fabric. waht is most motch raincover with this? Hi there. Thanks for your question! Rycote currently doesn't provide a rain cover for the Cyclone. The unique 3D-Tex fabric used in the Cyclone's construction provides good performance in wet conditions, but is not waterproof (only water resistant). We do provide a range of Duck rain covers for our Modular range, which offer rain protection above the basket. See here: &lt;a href= http://www.mymic.rycote.com/producttypes/duck-raincover/. 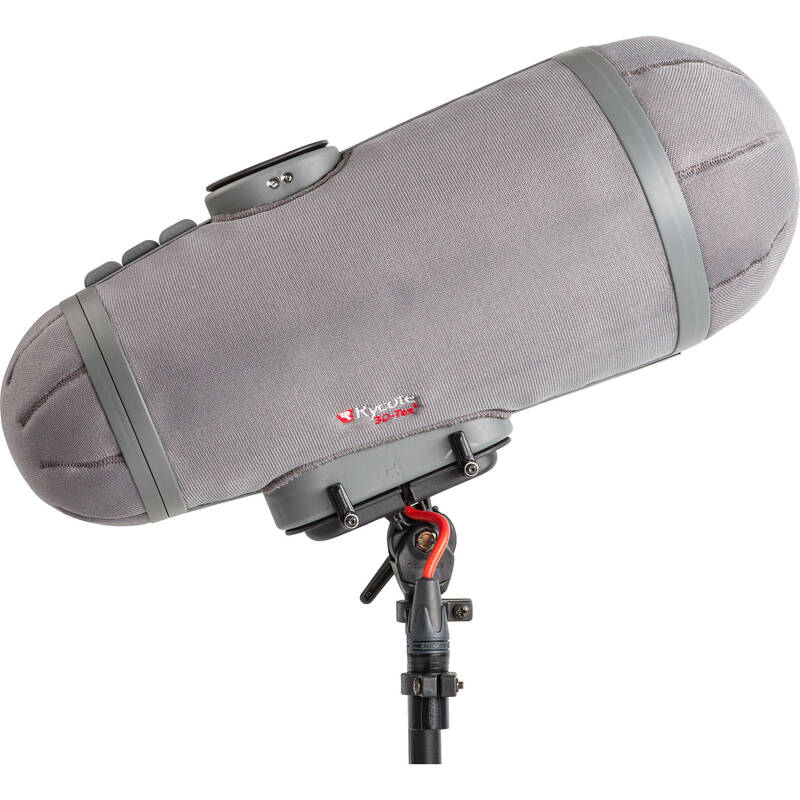 target= _blank &gt;http://www.mymic.rycote.com/producttypes/duck-raincover/.&lt;/a&gt; I hope that helps!